Who doesn’t love a weekend exploring a new place, especially when it’s home to a quirky pier, a lighthouse and rows of colourful beach huts. Add in the Salthouse Harbour Hotel and the company of my daughter, Amy, and that ticks all my boxes. We set off to the English county of Suffolk to visit Southwold and Ipswich on a girly weekend. 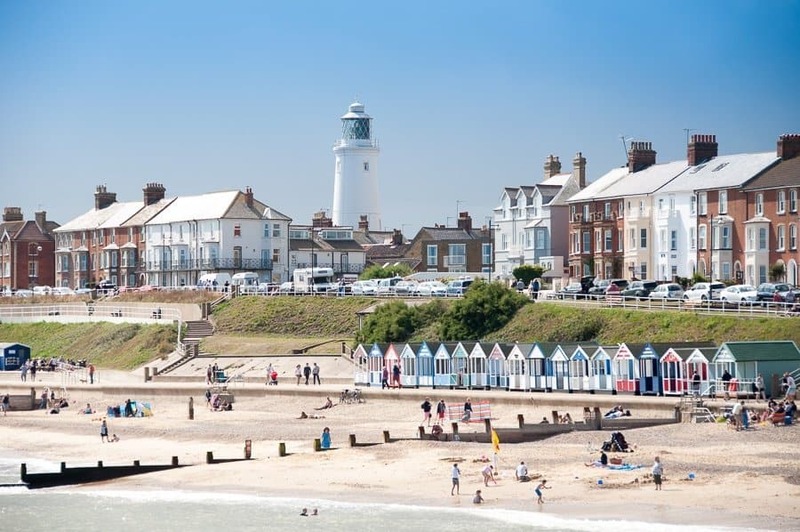 Southwold which sits on the Suffolk Heritage Coast is the epitome of English seaside charm. Rows of brightly painted beach huts stand sentry on the promenade overlooking Southwold Beach. We strolled past a few hutty types snoozing on their mini wooden porches and soaking up the autumn rays. The tide was out and we made our way past a swathe of soft sand en route to the pier. The ‘Under the Pier Show’ is as wacky as it is weird. 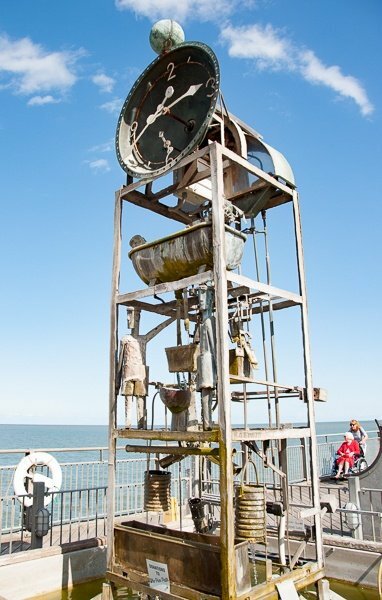 Amongst the collection of Tim Hunkin hand-built machinery and slot machines the ‘Bathyscape’ will let you descend to the seabed. If you’re that way inclined you could ‘Whack a Banker’ and the brave might step into the ‘The Booth of Truth’. 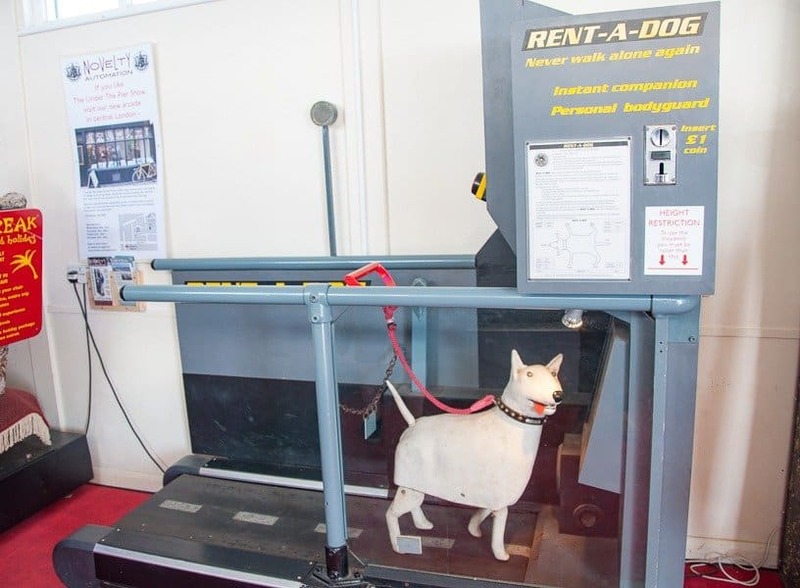 There are more totally bonkers machines which really need to be seen to be believed and are good for a giggle. Street artist Pure Evil, aka Charlie Uzzel-Edwards, has made his mark on Southwold Pier. His mural of English author and journalist, George Orwell, who spend time in Southwold, can be found on one of the pier’s walls. 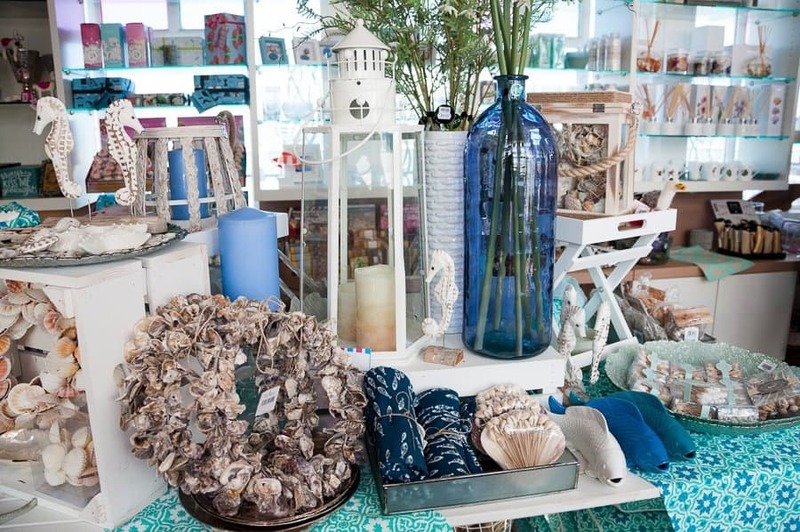 Seaweed and Salt is the pier’s gift shop. Here you’ll find ceramics, prints, hand-made jewellery and beautifully made glassware that you’d actually want to buy and take home with you. There’s also the Treasure Chest, filled with trinkets and pocket-money style buys, which the kids will love. 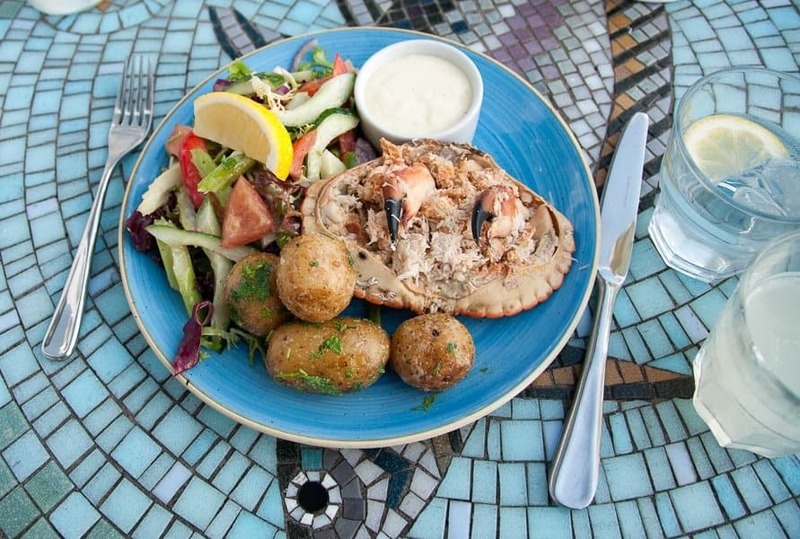 All that sea air will get you feeling peckish and there’s something to suit every appetite. The Clockhouse serves tea, coffee and a selection of sandwiches, cakes and afternoon cream tea. If your day starts early head to the Beach Café where you can get breakfast and later on fish and chips. Gluten-free fish and chips are available on the first Saturday of the month. We had lunch at the Boardwalk Restaurant as we sat on the deck looking out over the sea to the lighthouse. I tucked into fresh Cromer Crab and Amy chose fish and chips which were both very good. For dessert, we headed to the ‘Treat Parlour’ for locally made ice cream and both chose the creamy salted caramel. 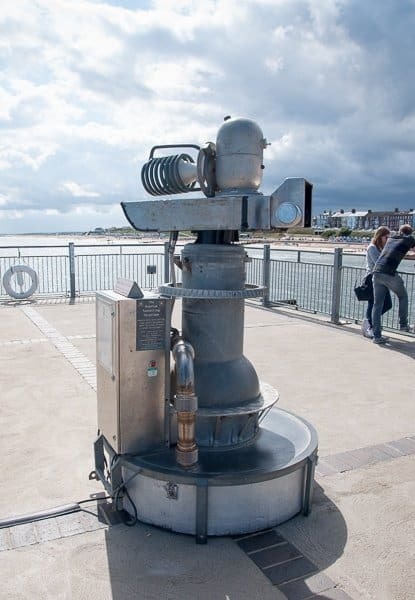 If you want more things to do in Southwold then check out the lighthouse. Southwold lighthouse was built in 1887 to help vessels navigate the east coast and guide ships into the harbour. It’s still a working lighthouse today and there are some great views over the town from the top. Guided tours to the top of the lighthouse will enlighten you about its history. If you’re interested in going check the website as days and times vary. One of the best views of the lighthouse is from the pier. 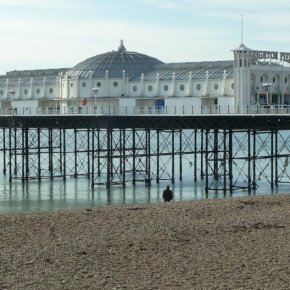 There’s free on-street parking in the town not far from the pier and a reasonably priced car park right next to the pier itself. We headed back to the car for the next leg of our journey to Ipswich and the Salthouse Harbour Hotel. 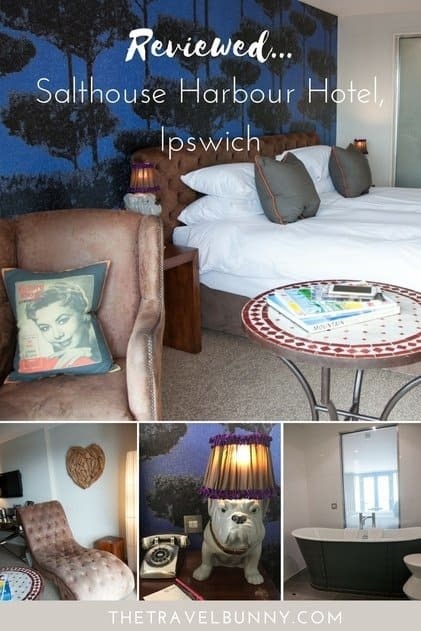 From Southwold we headed south to Ipswich boutique hotel The Salthouse Harbour Hotel set on the Ipswich Waterfront. The building dates from the 1800s when it was, yes you guessed it, a salt warehouse. 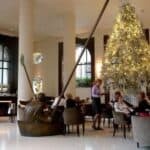 It was converted, in 2003, into an incredibly hip four star hotel. Many original features, including large arched windows and its eye-catching red brick façade, have been retained. The building makes for an interesting contrast against the gleaming yachts in Neptune Marina. 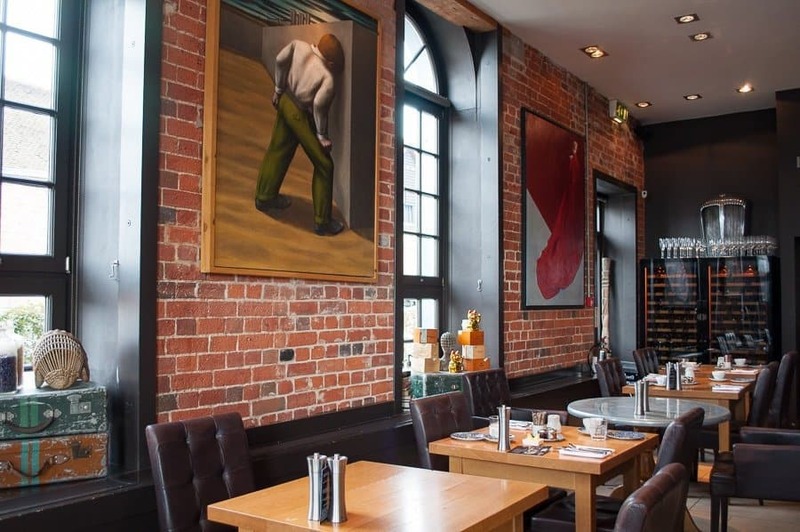 The Salthouse, Ipswich is a 70-room hip hotel with exposed brick walls, original beams and iron columns which make the perfect backdrop for the modern art collection displayed there. 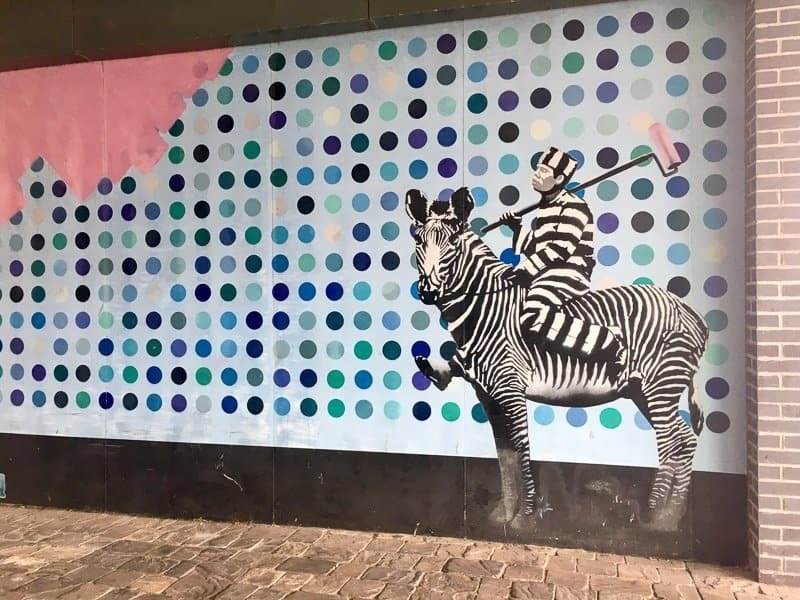 You’ll notice the art as soon as you arrive because directly opposite the lobby is a cool mural by Bristol-based graffiti artist SPQR. 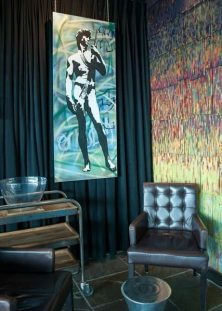 A flamboyance of prints by Banksy and Damien Hirst adorn the lobby walls while the floors model Vivienne Westwood rugs. Zingy green and orange leather Chesterfield sofas are the perfect place to sip a cocktail and take in the harbour views through the floor to ceiling windows. In 2009 the hotel extended into the next door building giving an extra 27 rooms. Our large Sail Loft Marina room was here. 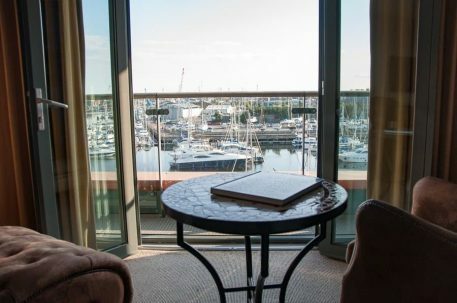 The super stylish room had gorgeous harbour views and a small Juliette balcony to help make the most of them. There are unique features and thoughtful touches. 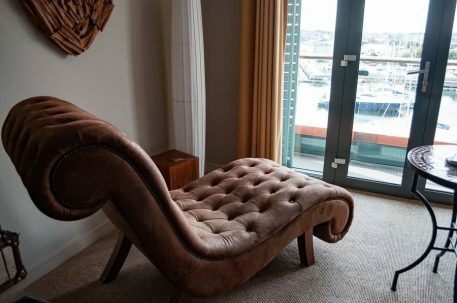 A soft leather chaise, shaped to fit your curves, is perfectly positioned to admire the view together with matching high-backed armchair. 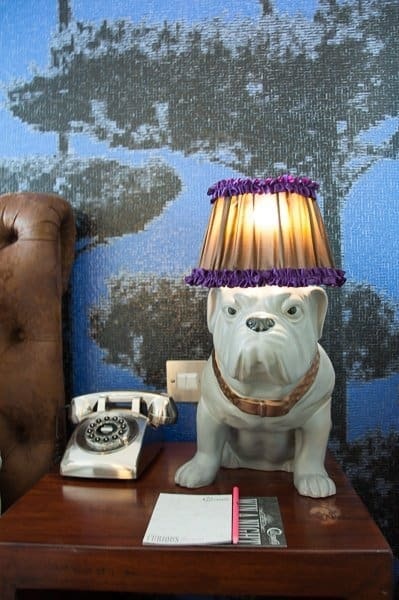 Funky wallpaper on the feature wall accentuates the quirky bulldog lamps and retro telephone on the bedside tables. The beds (converted to a twin for us) are capacious and comfortable with thick woollen throws and a multitude of pillows. 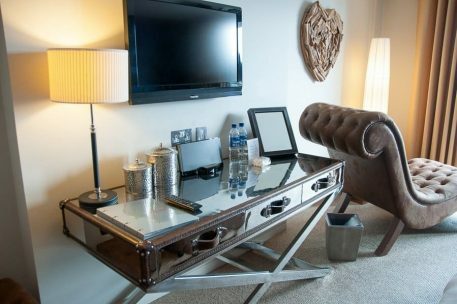 Luxury teas and a cafetière are on the desk with iPod dock and a flat screen TV above. Rooms have complimentary WiFi. A large window looks straight through to the bathroom and the free-standing tub but at the flick of a switch the glass turns opaque and modesty is retained. 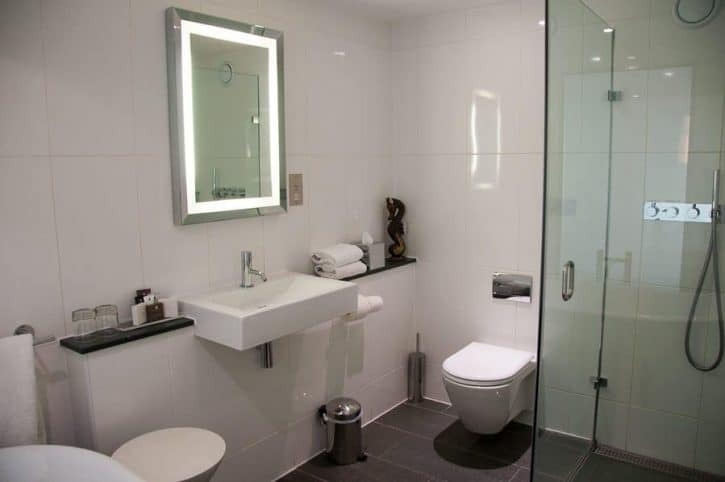 There’s also a wet room shower with rain head, no-steam mirrors, slate tiles with under-floor heating, bath robes and an ample supply of soft fluffy towels. 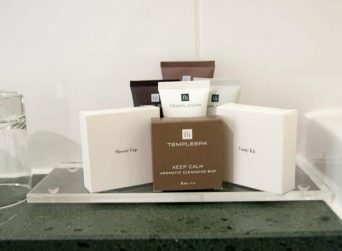 Temple Spa toiletries complete the ensemble. 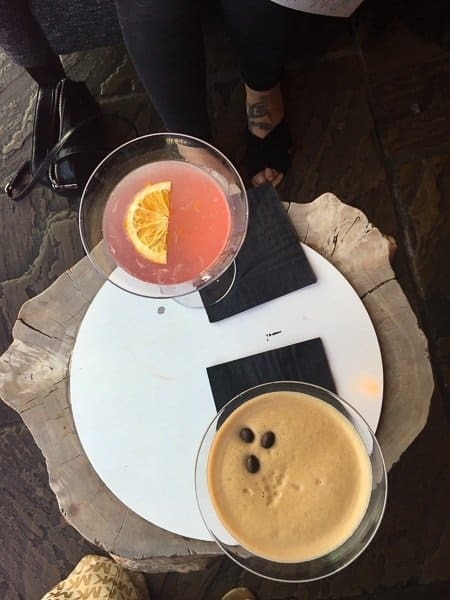 We start our evening in the lively lobby with cocktails; a Cosmopolitan for Amy and Espresso Martini for me. Dinner is next door in the Eaterie in the old warehouse part of the hotel. An s-shape of black-leather booths sit opposite the cocktail bar with tables situated around the outside of the room. Contemporary artwork lines the walls of the restaurant and a unicorn head peeps out at us from one of the beams. The atmosphere is animated and bubbly and the service attentive. 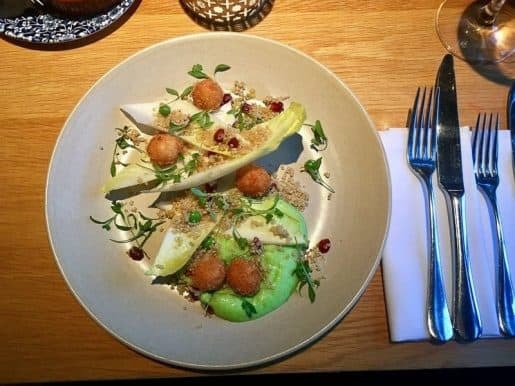 The menu is imaginative and well-balanced with a few surprises. 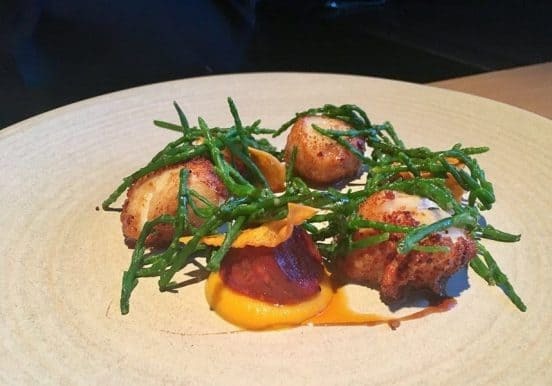 For my starter I chose crispy goat’s cheese, pomegranate and garden peas while Amy went for the pan-fried scallops with chorizo, butternut and sea vegetables. 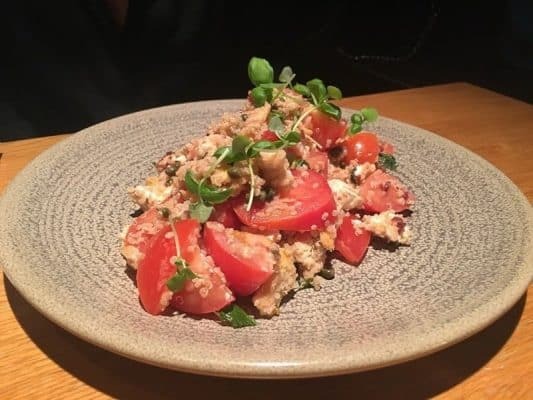 The chef is into foraging and the menu’s made up of fresh local produce from Suffolk small holders and independent producers. For my main-course I chose line-caught cod with broccoli, cockles, fine beans and almond potatoes while Amy went vegetarian with Panzanella salad, quinoa and goats cheese. Both excellent choices. Between us we quaffed a bottle of light, fruity Pinot Gris Rose. 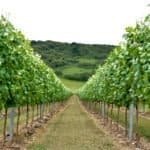 There are 30 wines on the wine list and all are available by the glass. 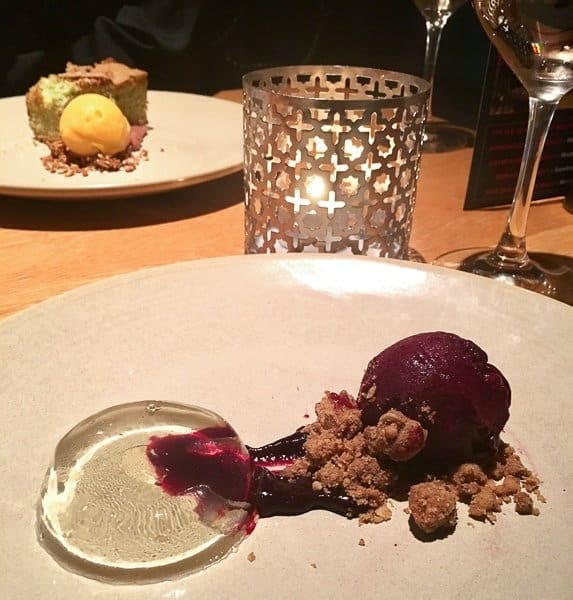 Puddings were perfect. Being the gin fiend that I am how could I resist the Elderflower and Hendricks jelly with blackcurrant sorbet. Amy tucked into pistachio cake and apricot sorbet. Breakfast can be taken in your room or in the Eaterie. We headed downstairs and chose from the cooked breakfast menu. A continental breakfast is also available and is automatically included when you order from the cooked breakfast menu. We had fresh fruit followed by Eggs Benedict and coffee which set us up for the day nicely. 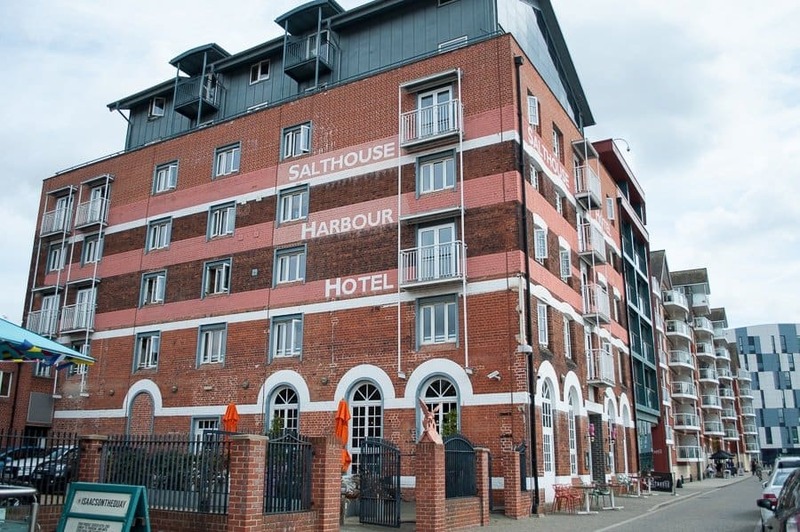 Step out of the Salthouse and you’ll find yourself right on the waterfront with a number of bars and cafes. You can’t miss the porticoed Old Custom House dating back to 1845 which dominates the harbour. 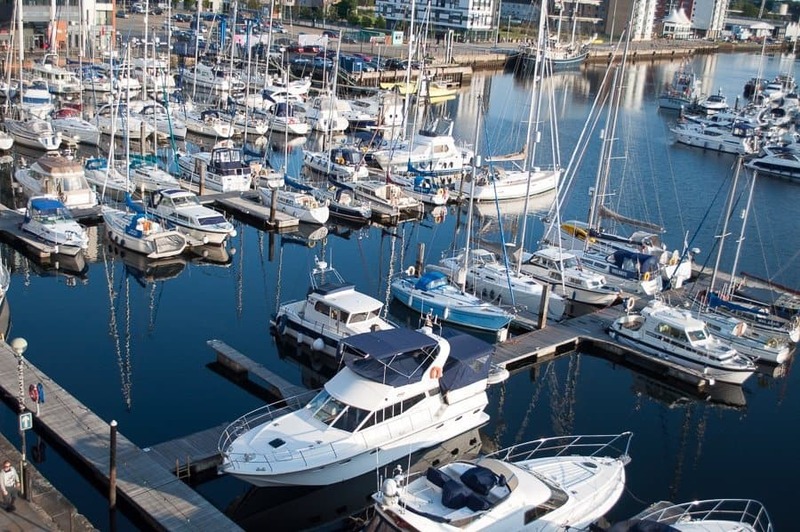 If you’re lucky you might spot a seal in the harbour or you could take a boat trip from the along the river Orwell. A short step away from the hotel is Snape Maltings where the Victorian malthouses and granaries are now home to shops, restaurants and galleries. 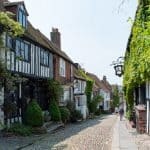 A ten-minute walk into town brings you to The Saints, the main thoroughfare from the town centre to the Waterfront lined with small independent shops and cafes. Accessibility – The hotel is accessible from the ground floor and has lifts. Four modified rooms are available and there are reserved parking spaces. Children are welcomed and there are family rooms. Pets are allowed in certain rooms. There is a small car park next to the hotel for guests. The train station is a short walk from the waterfront with direct routes to London, Cambridge and Norwich. Two bus stations in the town centre offer a direct-link to Stansted Airport. 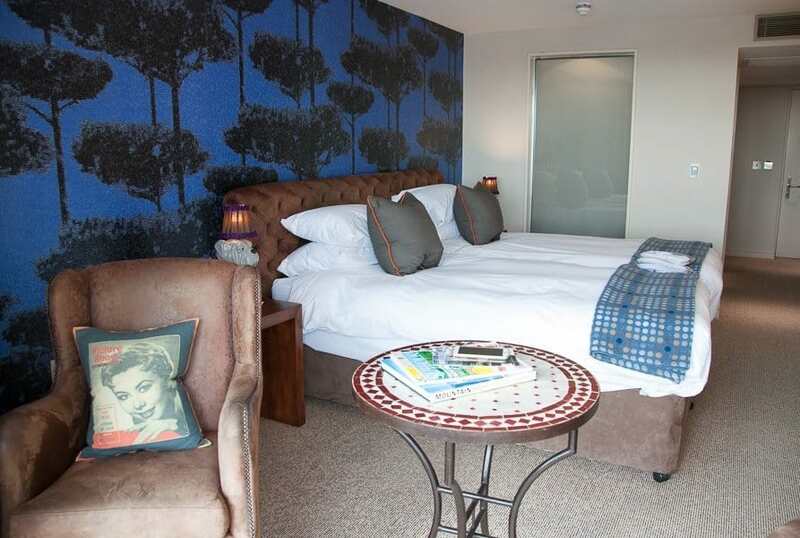 If you’re heading to Bury St Edmonds you might like to check out The Angel, the Salthouse’s equally hip sister hotel. I was a guest of Gough Hotels, however, I have complete editorial control and, as always, bring you my own honest views and opinions. I saw the Under the Pier on an episode of BBC’s Coast once, and I was enthralled! I really must get to Southwold soon. Beautiful post. Southwold’s a lovely town. The pier is fun and it has a gorgeous beach. I’d like to go up the lighthouse next time I’m up that way. Beach huts are so quintessentially British – and Southwold a proper English seaside town. 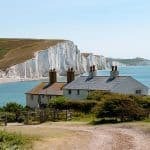 I might think about renting a beach ut for the summer one year as we live very close to the coast in Sussex. The same thing happened now … I can’t send my replay to you. So I have to answer you from the post instead. Looking forward to your new cruising report. I don’t understand why I can’t send comments to you. Don’t worry …. I don’t know who to fix it neither. We are in good company with each other. I love to be on the seafront … or what ever that song say. I don’t even know if I ever been to Suffolk – but it looks good enough to visit. That crab is good enough reason . Lovely post … I miss the summer we never got. You had a poor summer this year didn’t you – in the UK we had a really weather this year which makes a nice change! I like a cold winter in the UK but definitely not a cold, wet winter! That makes two of us. *smile – I’m trying to send a comment to yours on the cruise … but it will not go away – tried for 2 days now. Yes the one … I landed on the other day and you wrote a comment to me .. and I’m not able to send my answer. *smile – Looking forward to your new post. I’ve seen so many lovely pics of Southwold and its beach huts, I really must make it out there to see for myself! It’s a big of a slog across the country from home but definitely looks worth the trip. 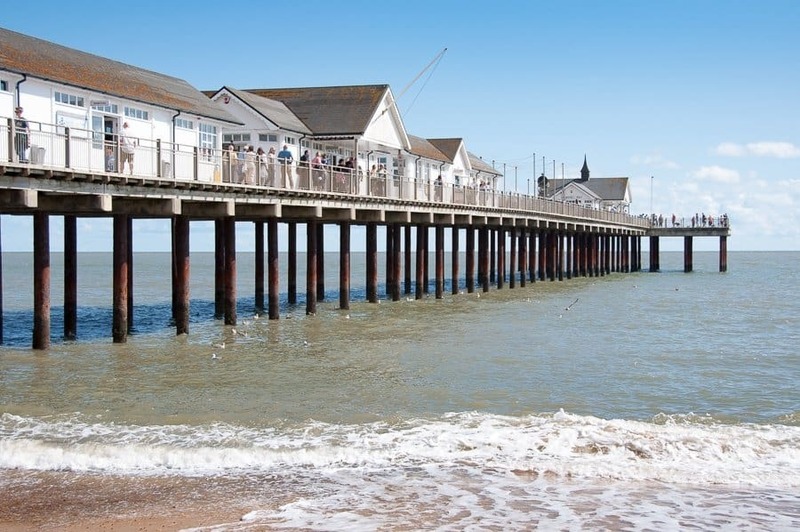 I’ve always wanted to visit Southwold, the pier looks so unique! 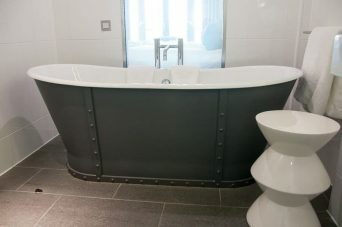 As for the Salthouse Hotel, what a great location. Looks like they take a lot of care and attention with the food too. 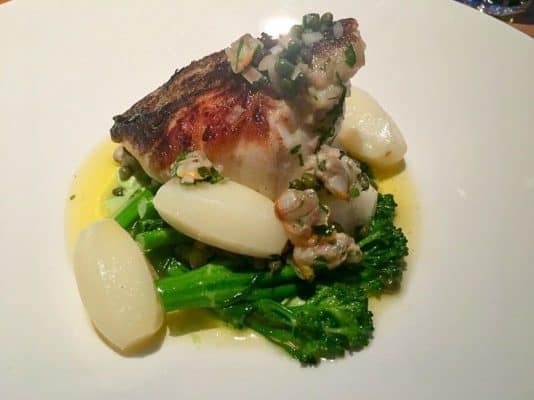 The food at the Salthouse was excellent, as was the service. 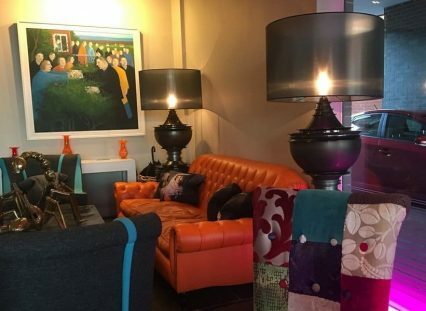 The art around the hotel and the rooms are so good and make for a wonderful mini-break stay. Oh my goodness I am in love with this hotel! 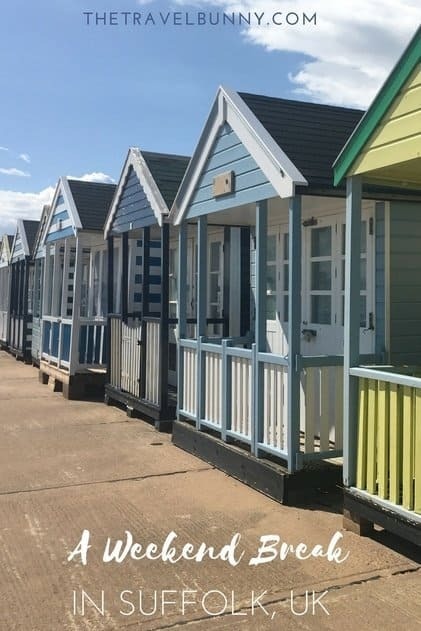 Actually Suffolk and Southwold was on one of the first places I ever blogged about, I loved the beach huts and colours so much and you’ve captured them perfectly. I haven’t been to Ipswich at all though. Hmm, it is 100% going on the list! You need to stay in that hotel Jai, it’s fabulous. 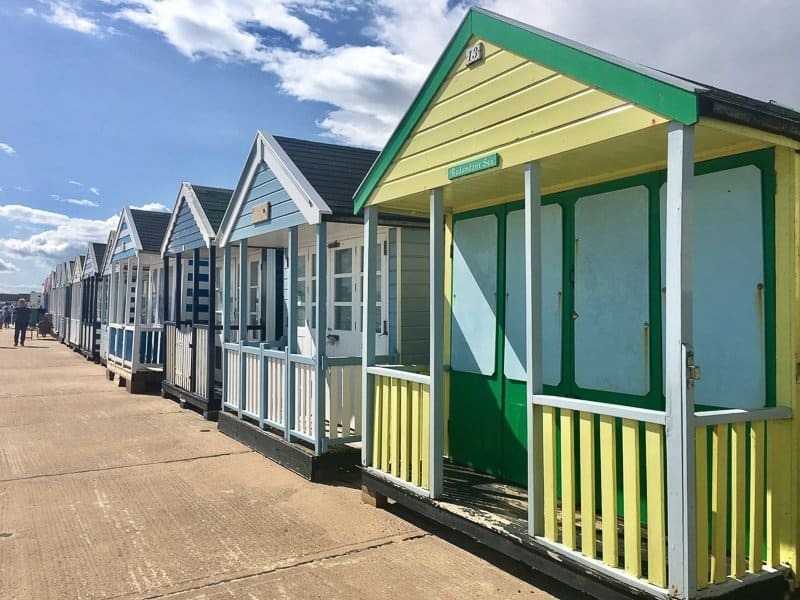 Southwold has been on my travel wish list for years – those beach huts are just adorable! I’ve heard of a ‘flamboyance of flamingos’ but I love your use of it for the artwork at the Salthouse. 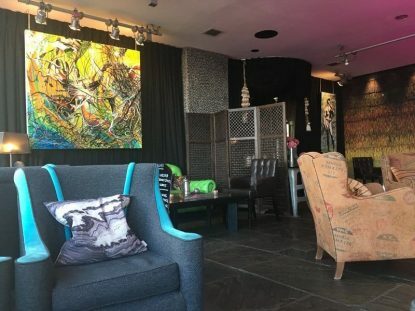 I have to admit, I’m not always drawn to hipsterdom, but there’s something about converted warehouse spaces that really appeals to me, so this hotel would definitely be my choice for an ipswich stopover. And nobody does quirky seaside stuff like the Brits, eh? !